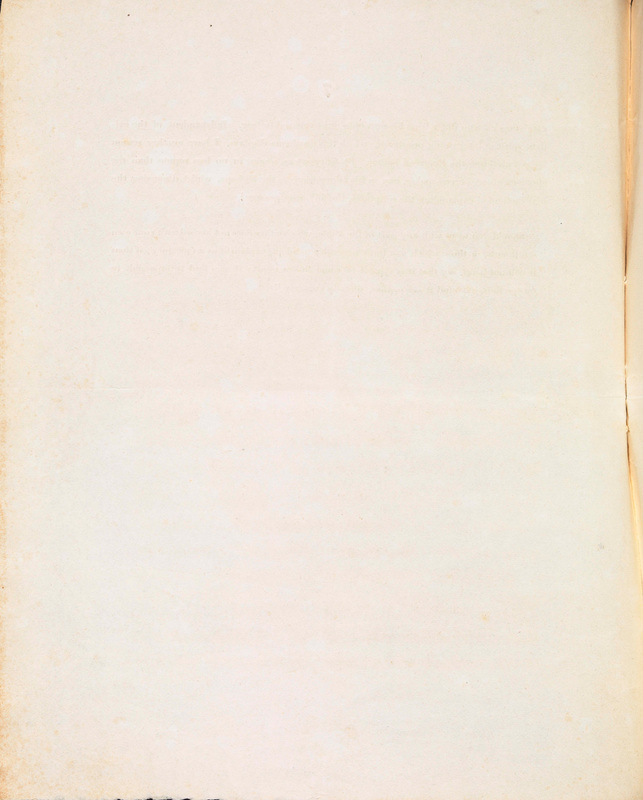 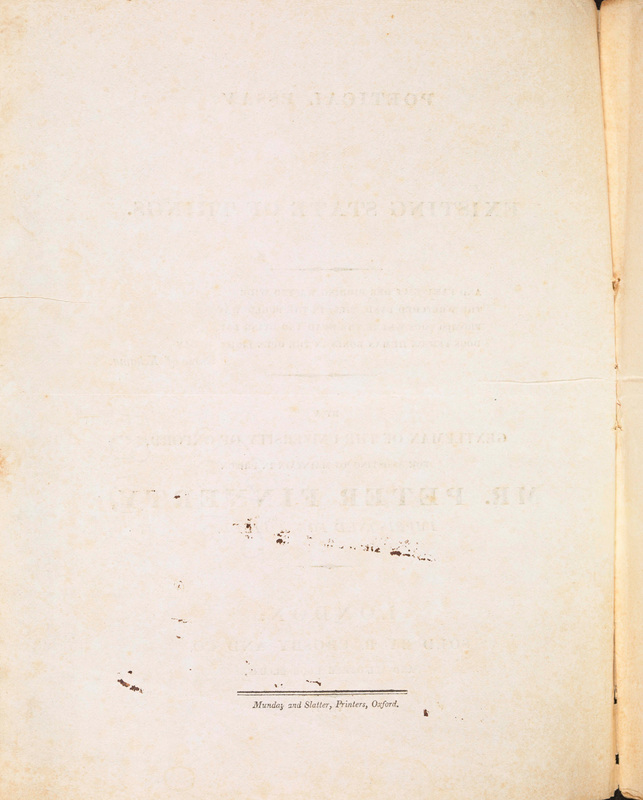 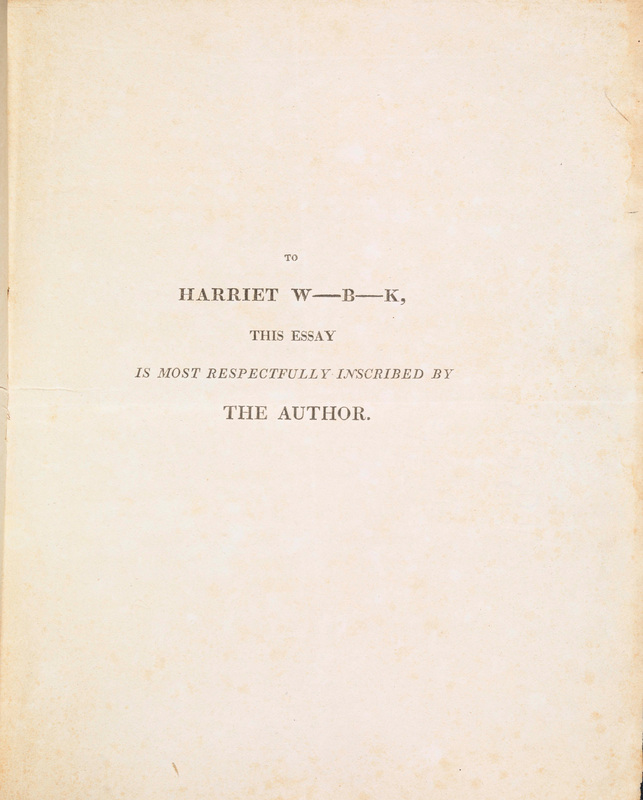 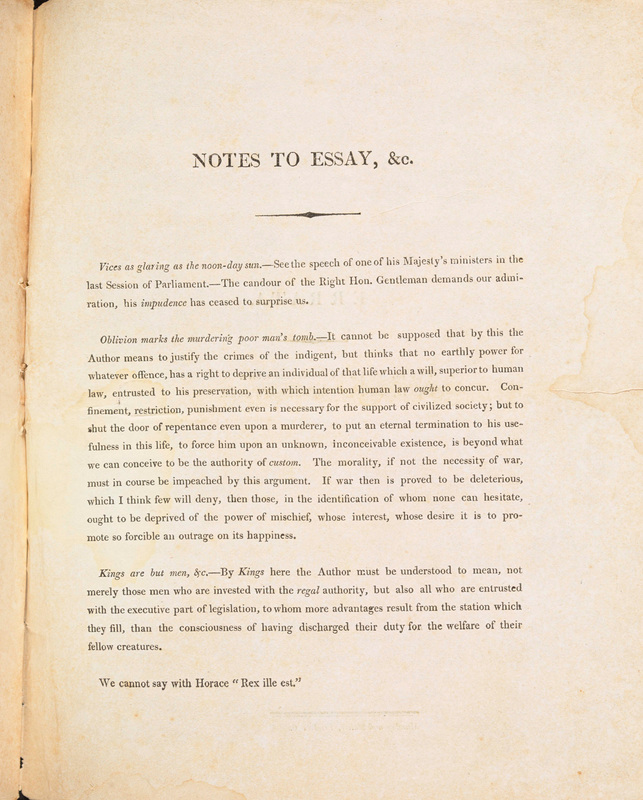 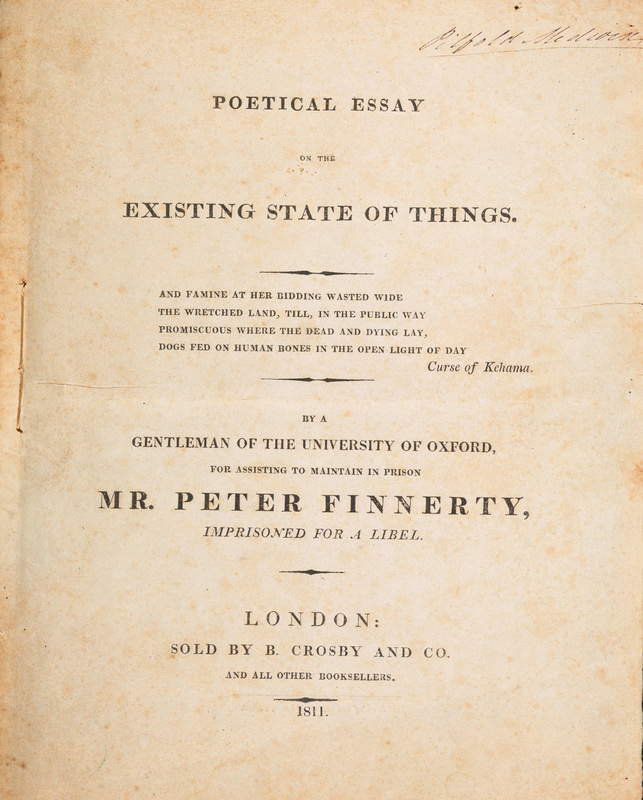 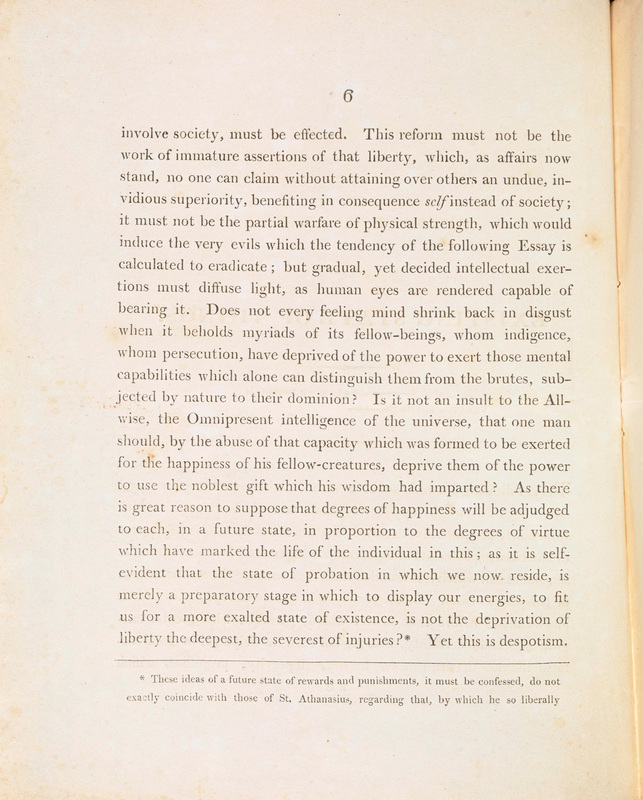 In November 2015 the Bodleian Libraries acquired its 12 millionth printed book: a unique copy of a pamphlet entitled Poetical Essay on the Existing State of Things, written by ‘a Gentleman of the University of Oxford’ and printed in 1811. 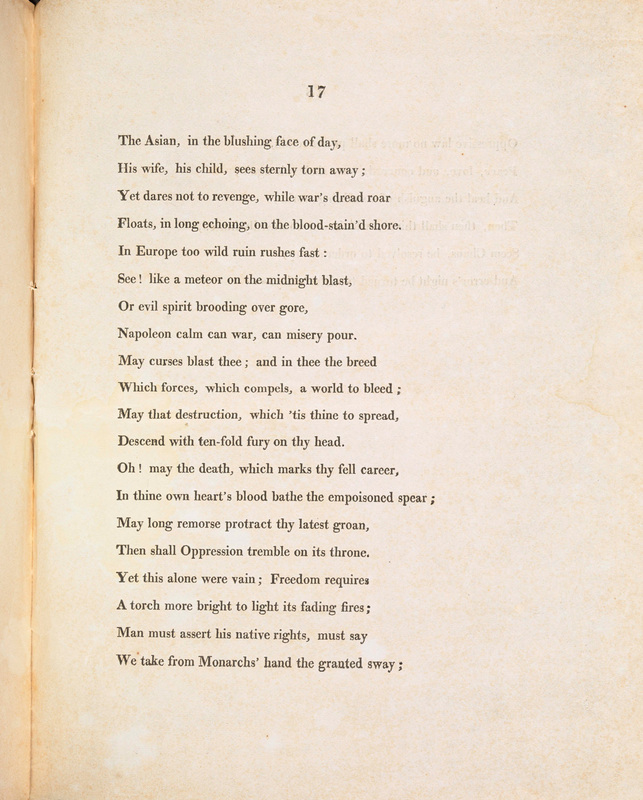 The pamphlet was the work of Percy Bysshe Shelley (1792–1822), then a student at Oxford University, and now recognised as one of the great English poets of the 19th century. 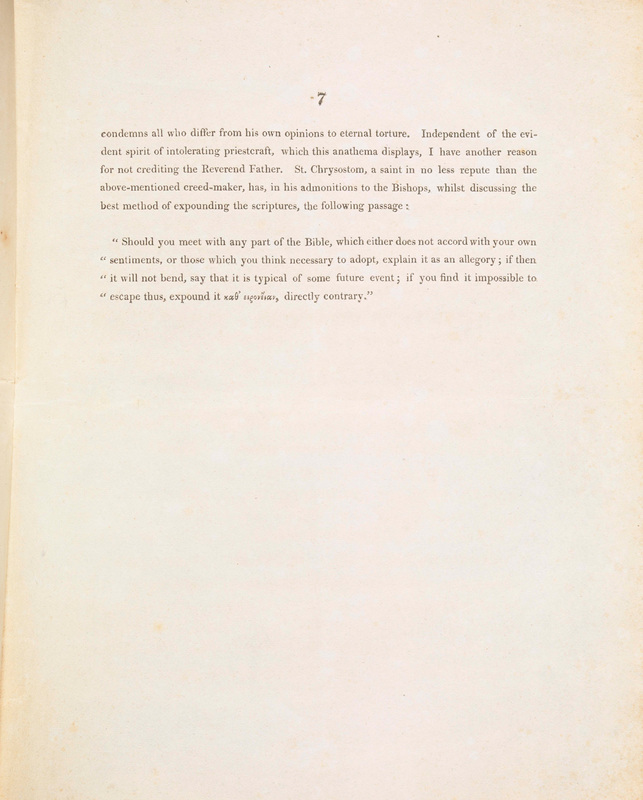 The acquisition is a momentous event for the public, for scholars, the University and the Bodleian Libraries. 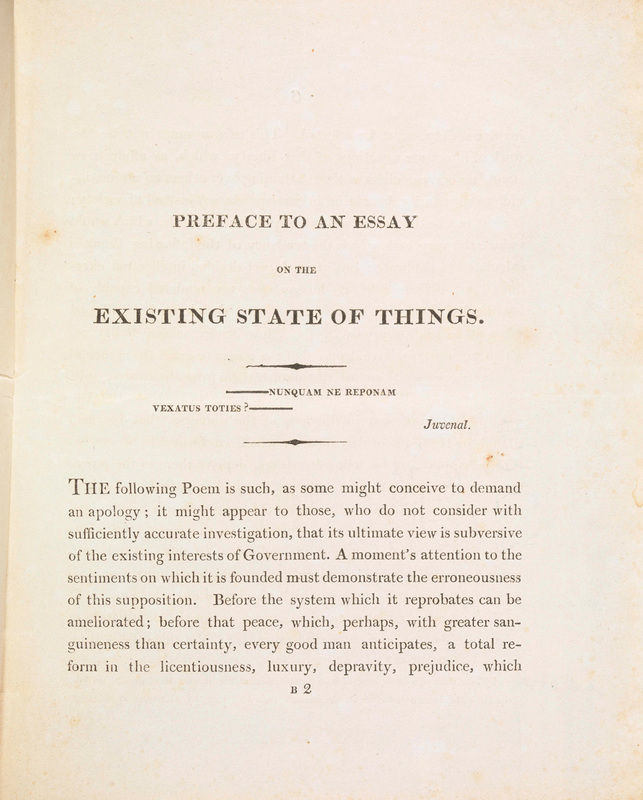 Known to have been published by Shelley in 1811 but lost until recently, Shelley’s Poetical Essay is, thanks to the generosity of a benefactor, now freely available to all in digitized form. 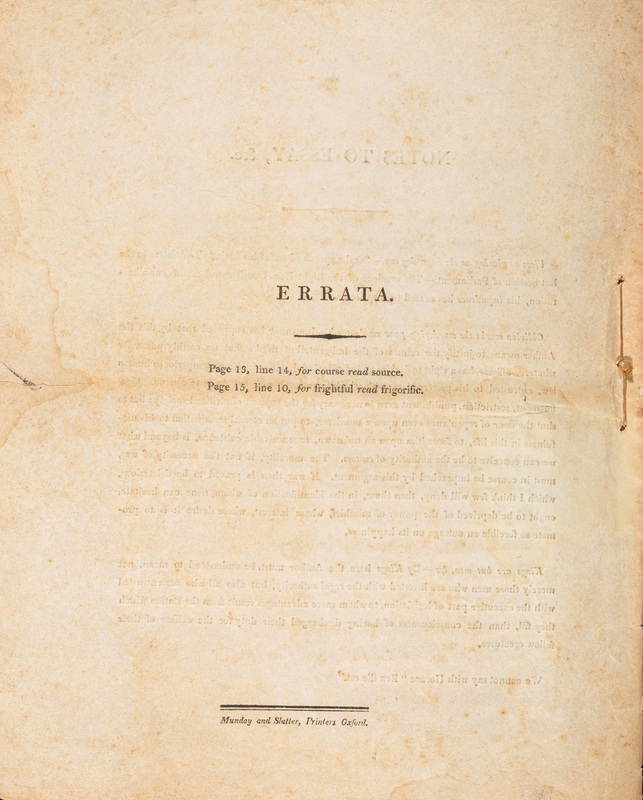 The Bodleian Libraries are extremely grateful to Mr Brian Fenwick-Smith and Mr Antonio Bonchristiano for their generous support of this project. 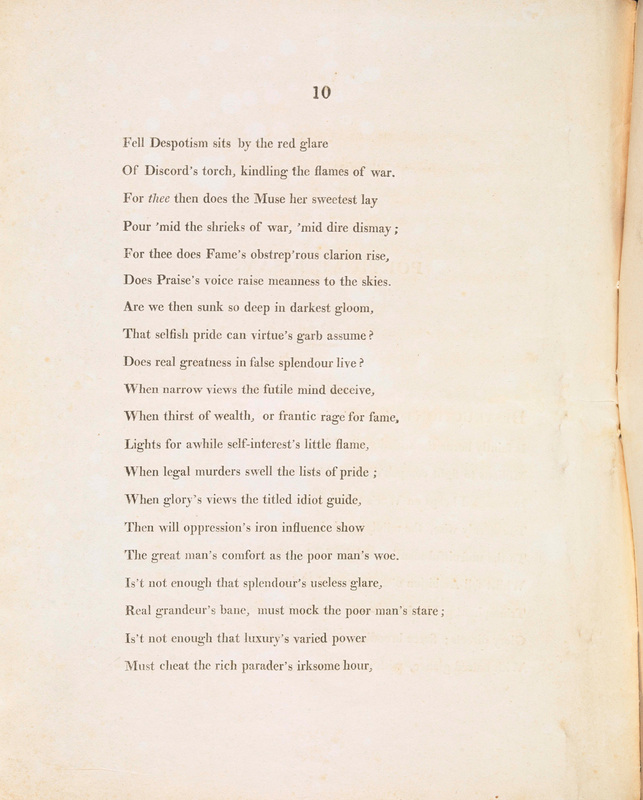 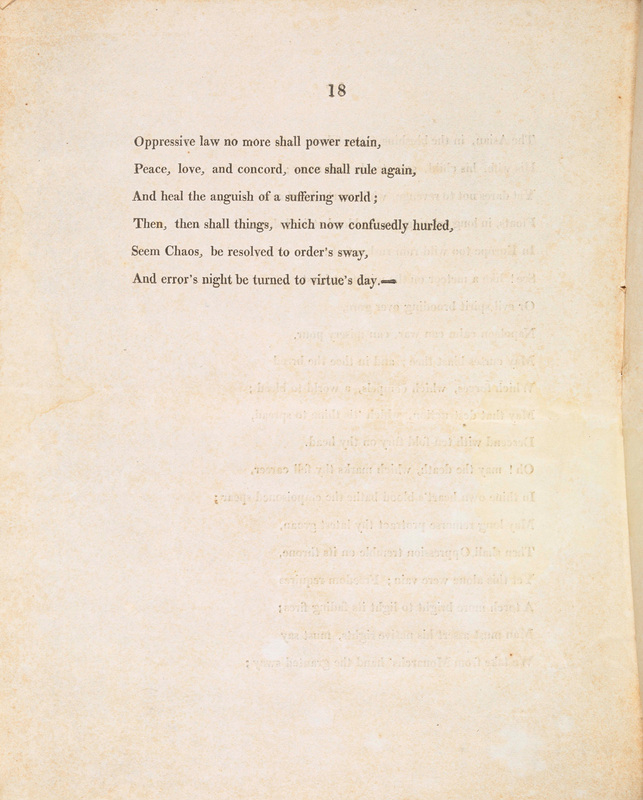 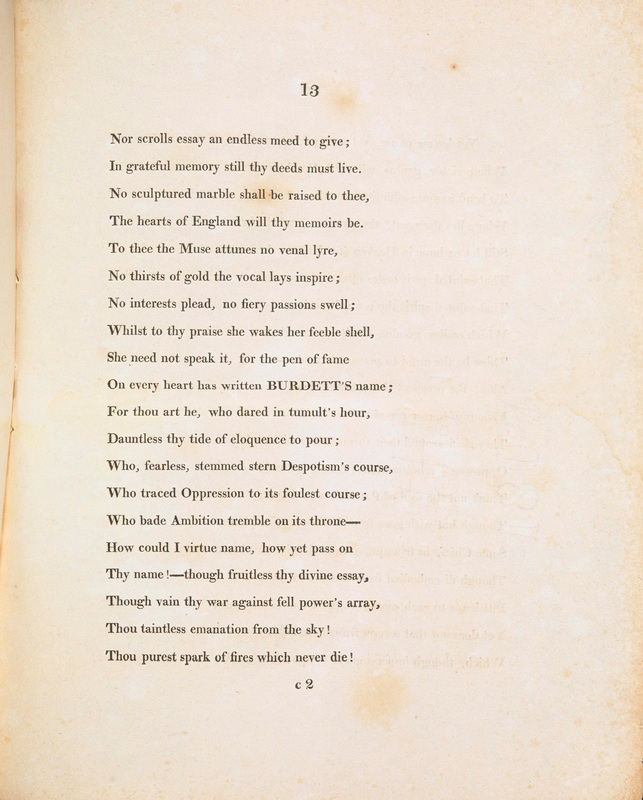 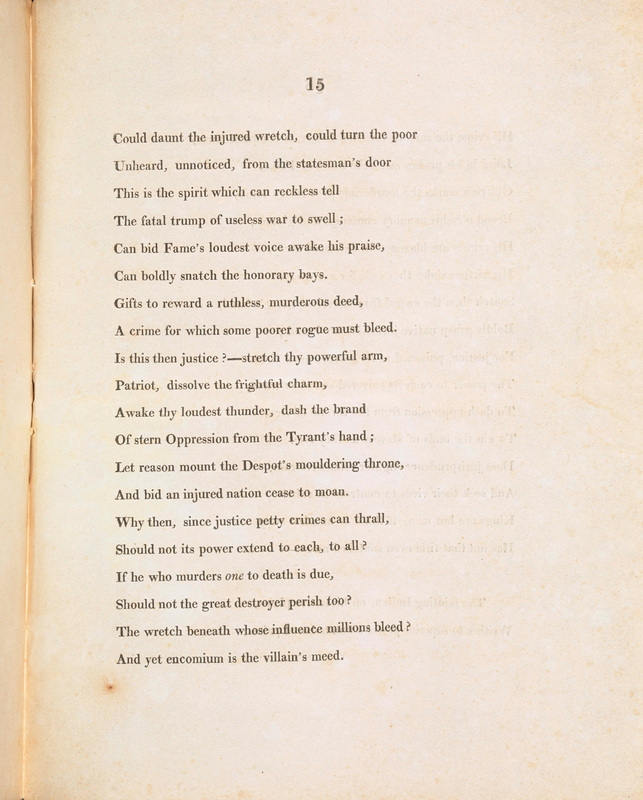 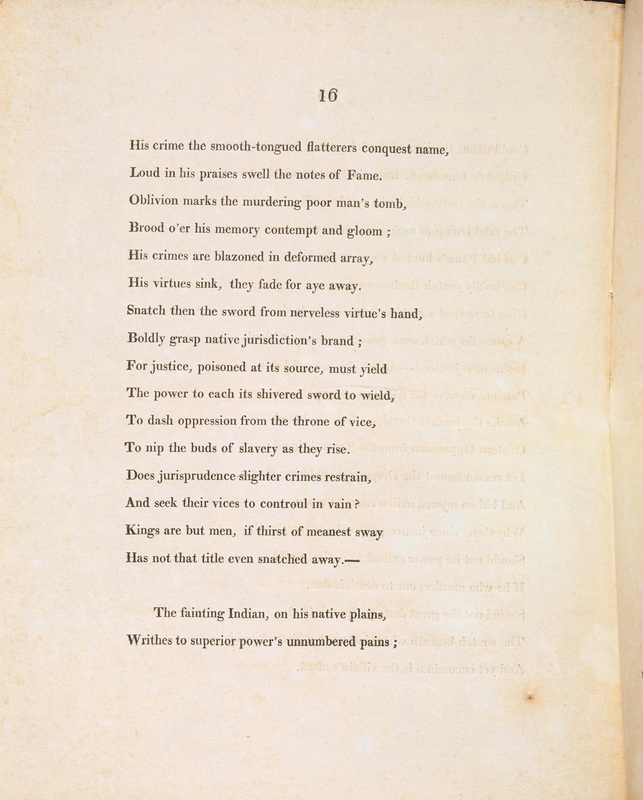 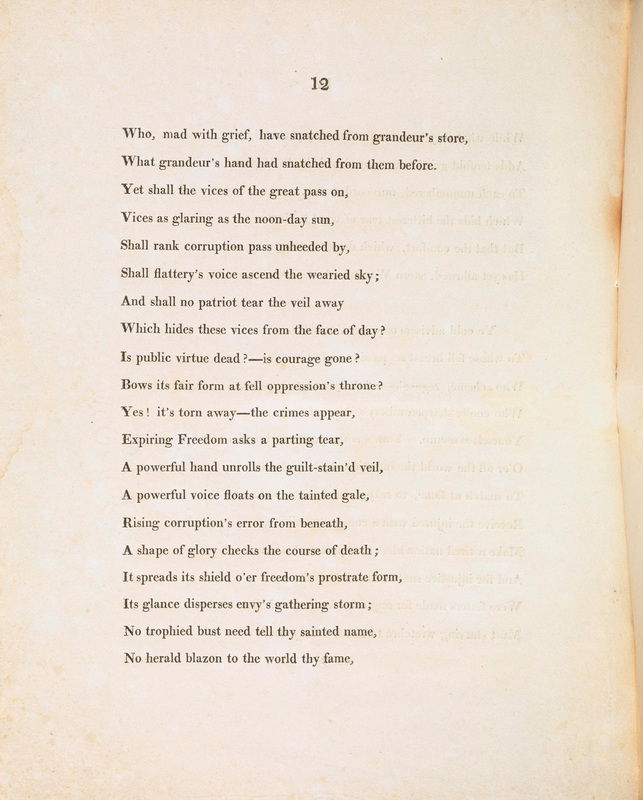 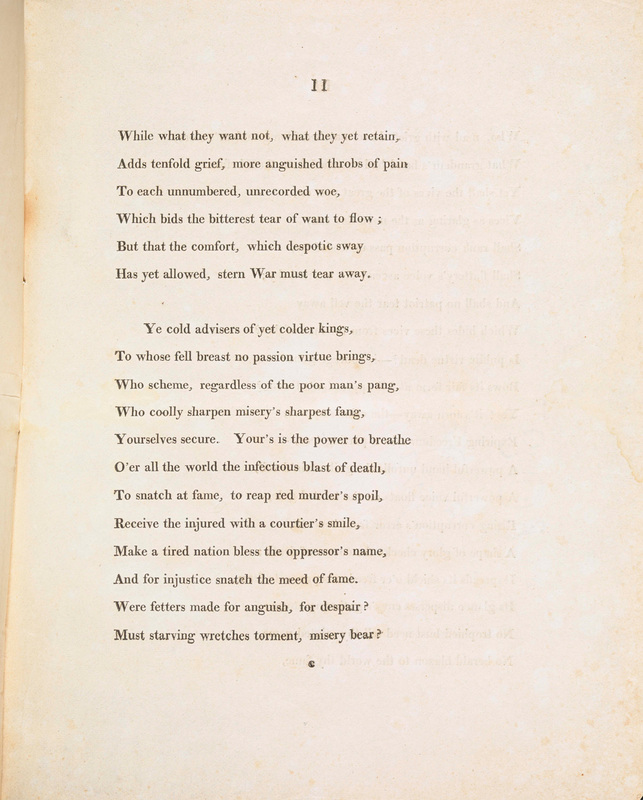 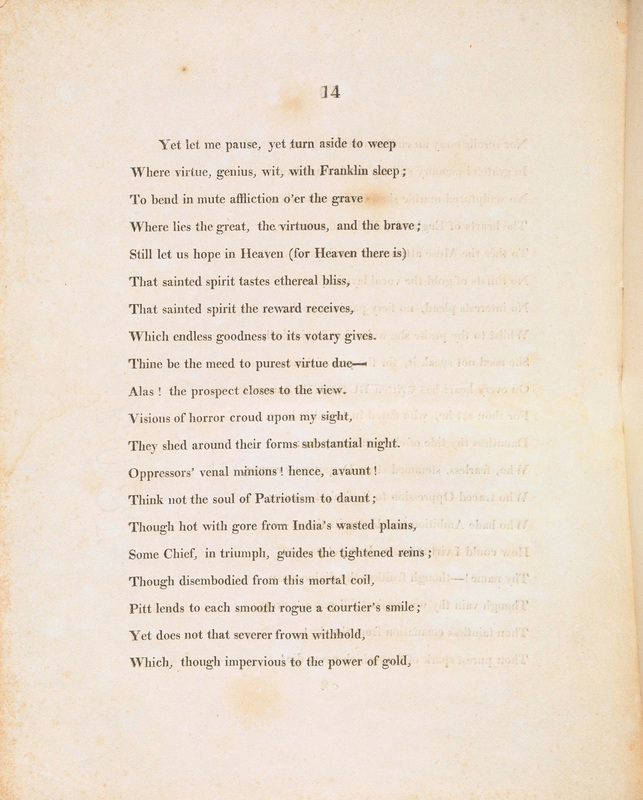 The poem, written for the support of an Irish journalist imprisoned for libel, shows a young Shelley engaging with the political and social issues that coloured much of his work. 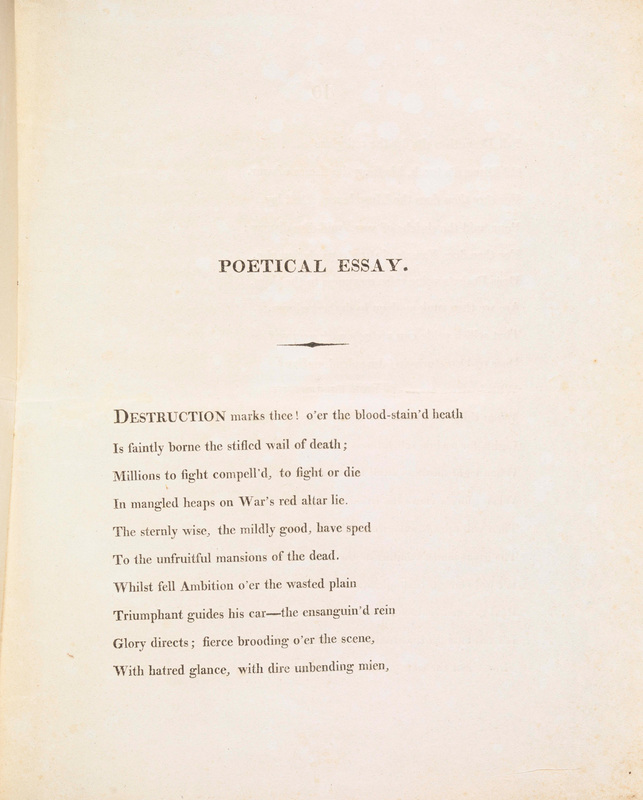 The themes Shelley addresses in Poetical Essay (the abuse of press freedom, dysfunctional political institutions and the global impact of war) preoccupied him throughout his career, and are as sharply present today as they were 200 years ago.